It's Cinco de Mayo today, and even the grocery stores have got on board this year. Everywhere I look there's ads for chips, salsa, Mexican beers and best of all, really cheap avocados! 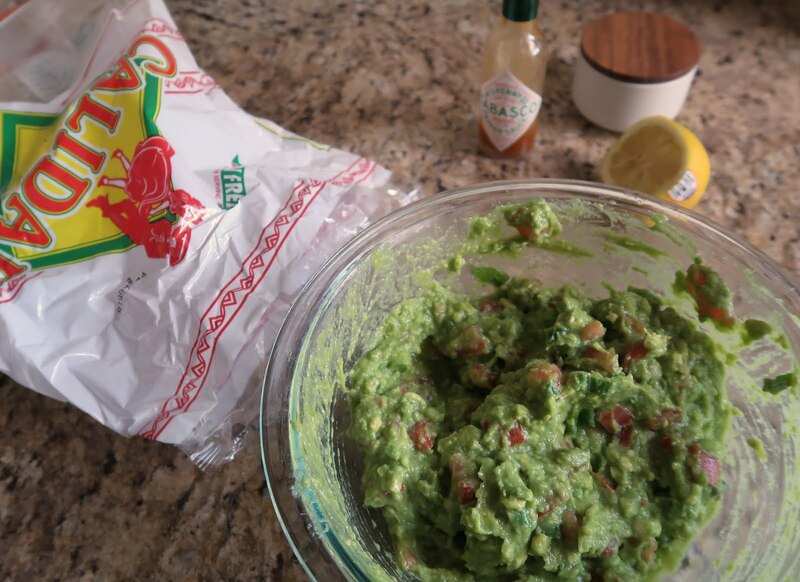 Let's just breeze on past the fact that we Americans are once again turning another culture's holiday into an excuse to drink and instead make one of my favorite (usually summer) recipes -- guacamole! 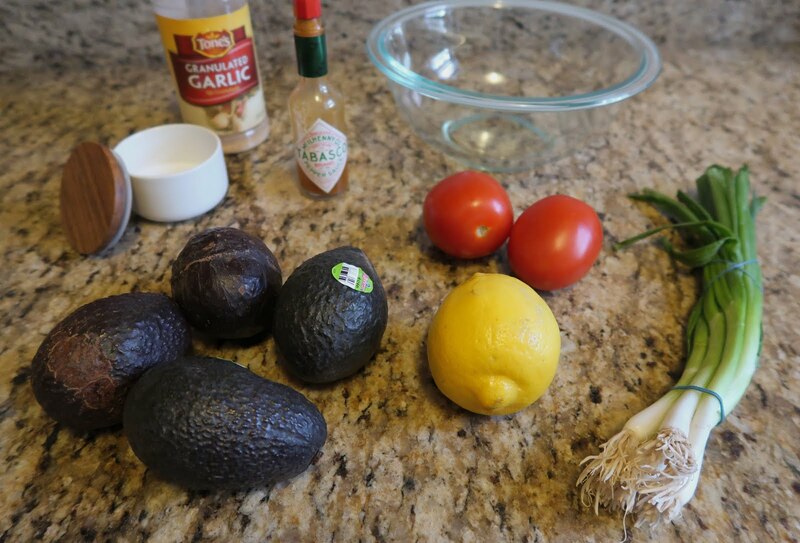 Maybe this guacamole isn't the most authentic guacamole in the world. It's missing things like hot peppers, cilantro or red onions that you seen in a lot of other recipes. My friend from Mexico was definitely skeptical the first time he tried my guacamole, but within an hour the whole bowl was gone so I'd say it passed the test. It's a little more work than just throwing a can of salsa into mashed up avocados ( 😱 - but no offense to those that do. ) and you'll have to bear with the fact that I don't have precise measurements for this family recipe, but it's certainly worth it! Grab your cooking Modelo and let's hit it. 1. Chop 3 or 4 green onions. Include both the white part and the green parts! 2. 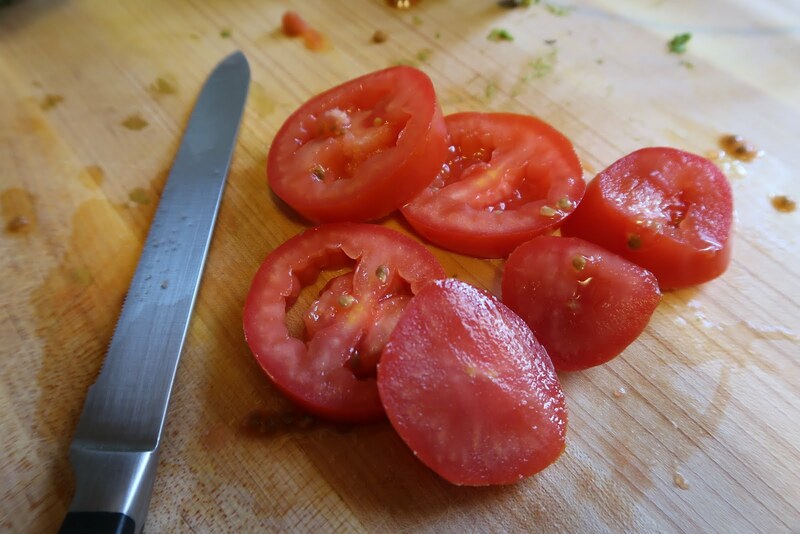 Dice your tomatoes, removing some of the watery, seedy part, but not all. 3. 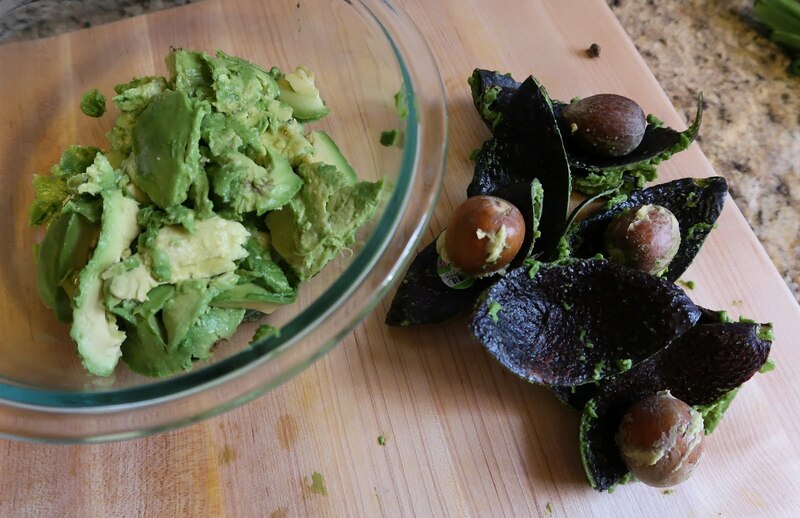 Cut your avocados in half the long way. Hit a knife, sharp side down on the seed until it sticks and then twist to remove the seed. Throw the buttery goodness into a medium mixing bowl mash (try a fork or a potato masher). You'll want a little texture so don't go overboard with the mashing here. 4. 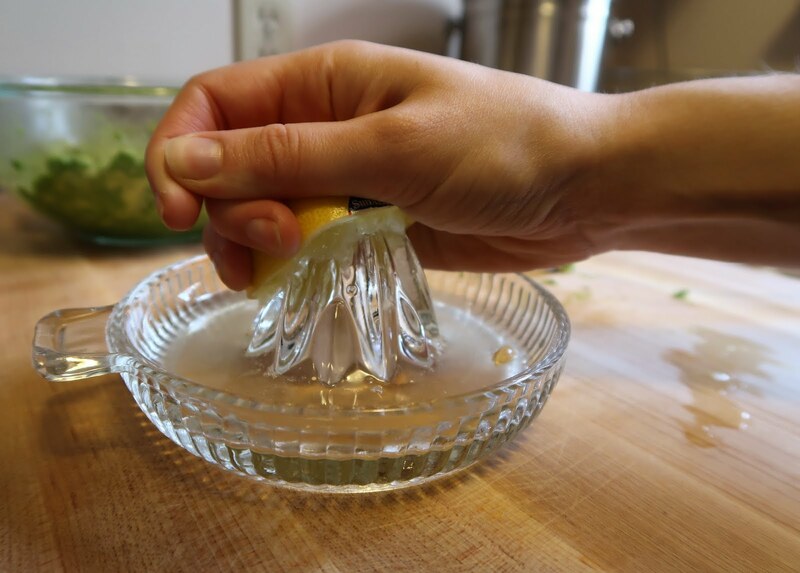 Squeeze on some lemon juice and mix in. 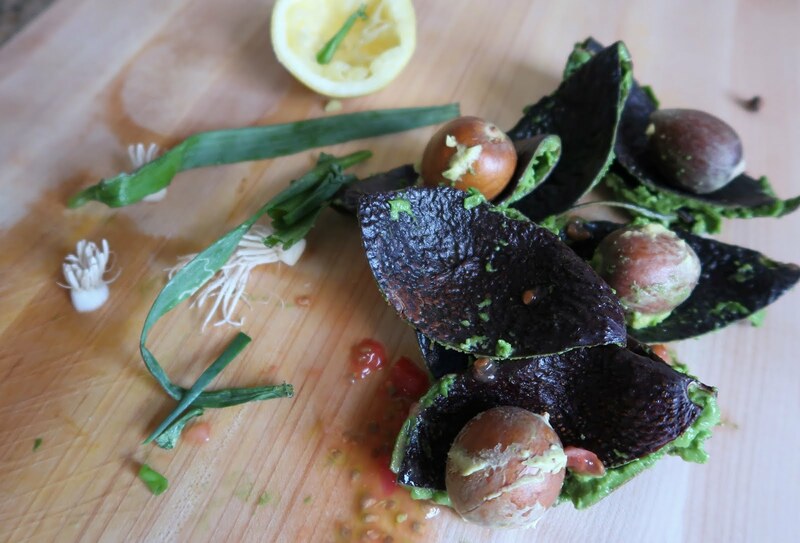 The acidity helps prevent the avocados from turning brown. 5. Add your tomatoes and green onions. Stir to combine. There should be a pretty even distribution and you want to have enough of both veggies that there will be some in each bite. 6. Season with salt, garlic powder and tabasco sauce and adjust flavors as necessary. 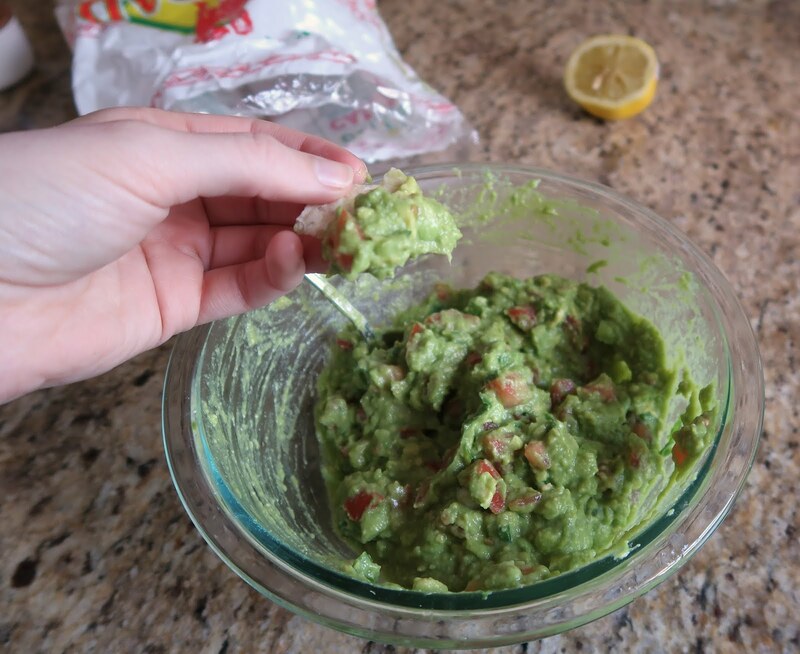 If you're planning on eating the guac with chips, remember that they often bring a lot of salt to the table as well, so test it out on a chip! And that's all there is to it. One batch will make a bowl for about 4 responsible portions, but like I did today, I often double up on everything because I find that people tend to devour it. Enjoy!